GROUP UPDATE- 12/05: Nine members met Nov. 19, 2005 and voted to dissolve MOKSRAIL, due to a lack of member participation and the inability to fill officer positions, especially that of president, formerly held by Doug Ohlemeier. MOKSRAIL is using up its remaining assets to fund replacement batteries for the electric cart at Kansas City Union Station that brings elderly and handicapped to and from trainside. They will also contribute some of the money to the restoration of the Amtrak station in Topeka, KS. The group has been disbanded but this Web site will remain in place to encourage passenger rail supporters to continue advocating for expanded passenger rail service in Kansas, Missouri and the nation - D.O. Missouri trains picture pageRecently updated. Answers to recurring misleading statements frequently appearing in news reports about Amtrak and passenger rail. Tell them to properly fund passenger rail transportation. 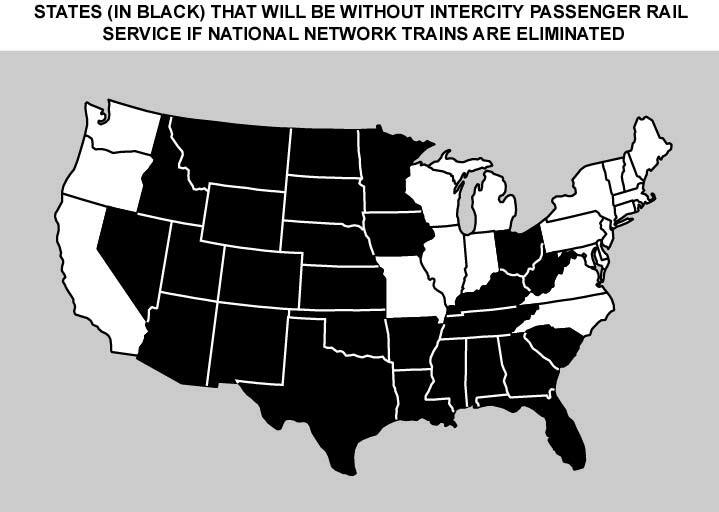 Fact-check on the Bush Administration's plan to derail Amtrak. For the latest on Amtrak funding, please visit the National Association of Railroad Passengers'legislative updates, please visit the NARP hotline. Please consider joining NARP so your voice can be heard in Washington DC. This information will remain prominently displayed on this Web page until the traveling public convinces self-serving politicians that passenger trains are a needed and necessary public transportation expenditure. "Until the federal government funds a meaningful, modern and relevant system of passenger-train tracks, signals and stations, no comparison between passengers trains and cars or airliners is valid. To be competitive, trains must first be provided with the means of competitive success, as cars and airplanes were." 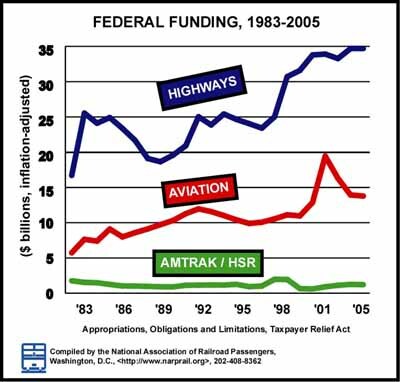 The Myth of Passenger Train Profitability To learn the how the federal government literally built this nation's highways and air transportation systems, read this speech made by Amtrak Reform Council member James Coston. Trainweb.com is a sponsor of the MOKSRail Web site. Trainweb.com provides the site at no charge to rail advocates. MOKSRail is please to note it is the only state rail passenger organization Web site included in the Amtrak Crisis site.